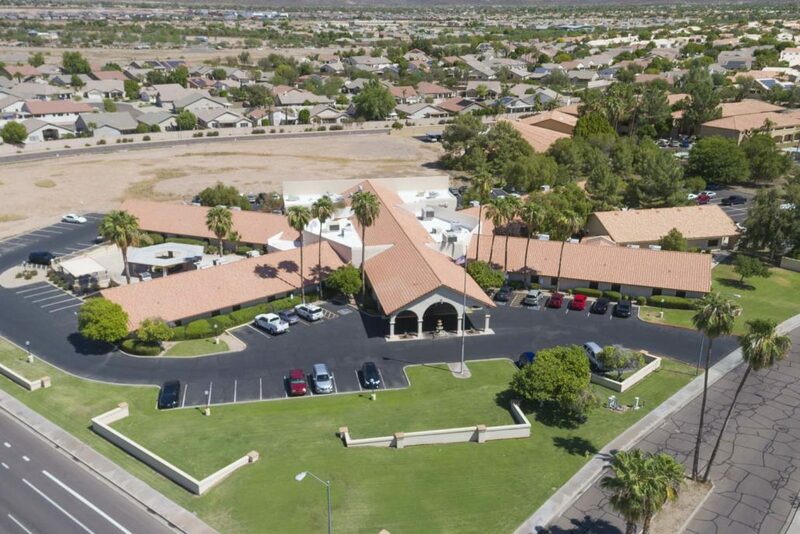 Lake Pleasant Post Acute Rehabilitation is a modern, state-of-the-art care center, conveniently located just off 99th Avenue and Beardsley Road, at 20625 North Lake Pleasant Road. We are a short drive to area hospitals including Banner Del Webb, Banner Boswell, Abrazo Arrowhead Campus, and Banner Thunderbird. We feature 128 beds and beautiful spacious rooms in either private or semi-private settings. Guests will enjoy well-appointed accommodations, a diverse activities program, nutritious satisfying menus, housekeeping and laundry services, and beautifully landscaped grounds.